The committee for the 2014 IFIP TC-11 Kristian Beckman Award has decided to confer the award on Dr. Louise Yngström, Stockholm University, Sweden. Louise Yngström has not merely contributed to the advancement of information assurance and security across all fields of interest; she has led the field for over decades. She has been one of the pioneers of IT security education and related IT Security education research. She was the founder of WG11.8 and the WISE conferences. 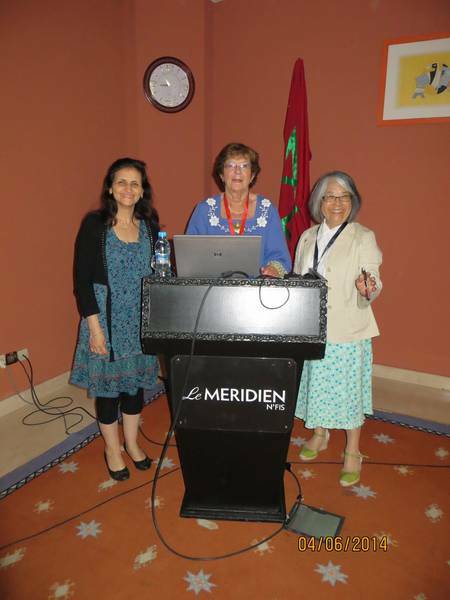 See her acceptance speech and the slides of the award ceremony at IFIP SEC 2014 in Marrakech, Morocco. Nora Cuppens-Boulahia, Louise Yngström, and Yuko Murayama during the 2014 IFIP TC-11 Kristian Beckman Award ceremony.